Liability auto insurance is mandatory in every state except for New Hampshire. That doesn’t stop people from driving without insurance, however. According to a 2014 study by the Insurance Information Institute, 12.6 percent of American drivers had no insurance in 2012. This means that if you get into an accident, there’s about a 1 in 8 chance it will be with an uninsured driver. 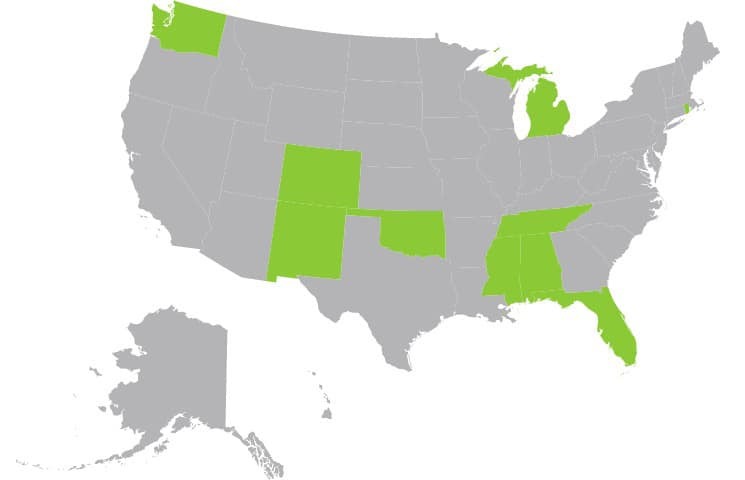 What does this mean to you, and which are the worst states for uninsured drivers? Which States Have the Most Uninsured Motorists? Here’s the list of states with the highest percentage of uninsured motorists in 2012, according to the Insurance Research Council. States are cracking down on driving without insurance. Many are implementing Electronic Insurance Verification, a system in which a third-party company compares car insurers’ records to motor vehicle registrations to find out who’s uninsured. While the percentage of uninsured drivers has crept down over the years, the national annual total for bodily injury claims involving uninsured motorists rose 75 percent from 2003 to 2012, to $2.6 billion. Guess who’s paying for all those claims in the end? Insured motorists. In Texas, where an estimated 20 percent of vehicles aren’t insured, insured Texans pay $1 billion in optional coverage annually to defend themselves against uninsured motorists. Why risk driving without insurance? You may picture uninsured motorists as carefree scofflaws, laughing at all the law-abiding drivers as they zoom past. That’s not entirely accurate. “Most uninsured motorists in the U.S. are responsible, safe drivers who simply cannot afford to purchase liability coverage with their income but who still need to drive for their work,” Insurance Journal reports from a study by the Consumer Federation of America. A significant majority of uninsured motorists are from the two-fifths of American households with incomes below $36,000, the CFA found. Part of the problem, the federation says, is that insurance companies discriminate against low-income drivers by charging them more, even when they have clean driving records. Researchers are trying to figure out how to reduce the number of people driving without insurance. The strength of the economy doesn’t seem to have a big effect on the number of uninsured motorists. Nor do stiffer laws and penalties, Insurance Journal reports. The CFA’s research has found that the possible penalties for driving without insurance (first offense) include a fine of $500 or more in 33 states; license suspension in 32 states; and jail time in 14 states. The best strategy, the CFA argues, is to make insurance more affordable for low-income drivers and then target the real scofflaws for enforcement: the uninsured motorists who have terrible driving records and/or high household incomes. Bam! A young woman misjudges her left turn and slams into your car. When you ask her for her insurance information, she looks at the ground. She doesn’t have car insurance, she says. Now, what are you supposed to do? The answer depends on where you live. Some states have “no-fault” insurance laws, which means it doesn’t matter who caused an accident. You simply report the accident to your insurance company and file a claim. Other states are “tort” states, which means you’re going to have to sue the other driver if you want her to pay for the damage to your car and/or your medical bills. Unfortunately, if she’s one of the millions of low-income uninsured motorists, you probably won’t have much luck getting the money you need. For more about uninsured motorist accidents, Esurance offers a simple explainer. This is why it’s a good idea to purchase underinsured/uninsured motorist coverage if it’s available in your state. This type of policy pays for bodily injury to you (and possibly your passengers) as well as property damage caused by an uninsured motorist or a hit-and-run driver. Are you driving without insurance? Don’t risk it! Get fast and free car insurance quotes from more than 40 companies through compare.com and find an affordable policy that fits your budget.